Secretary Ben Carson affirmed his commitment to the reverse mortgage program in a Monday speech to a major advocacy group for older Americans, lauding recent program improvements and emphasizing his desire to help homeowners age in place. “This is a top priority for my department: To give seniors more opportunities, more alternatives, more choices, and, if desired, to help more people age in place,” the Department of Housing and Urban Development secretary said in remarks at LeadingAge Florida’s annual convention in ChampionsGate, Fla.
Carson ran down the recent regulations designed to help make the products safer — including amendments to the non-borrowing spouse rules, Financial Assessment, draw limits, and mandatory housing counseling programs — and promised guidance for lenders and servicers on the recently-issued HECM Final Rule over the coming months. The secretary’s comments also included praise for housing counseling programs, which HUD recently supported with $50 million in grants. 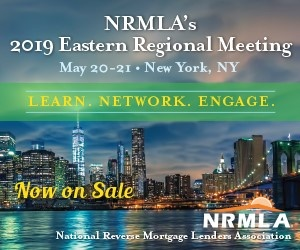 Peter Bell, president and CEO of the National Reverse Mortgage Lenders Association, praised the secretary’s comments in a statement released Monday. And just like many average Americans who have learned about the products through television spots, Carson couldn’t resist the opportunity to shout out the HECM’s most famous supporter.